Iceland’s popularity among travelers is becoming a bit of a problem. Though this influx is presenting logistical challenges, it has also brought significant financial benefit. Tourism has grown to be Iceland’s biggest export, pushing ahead of wholesale and retail trade, (which is now the nation’s second-biggest industry), according to Bloomberg. Just one year ago, tourism accounted for about 8.4 percent of Iceland’s gross domestic product. Tourism is now so important to Iceland that any impact on the industry would be a major shock to the country’s economy as a whole, according to its central bank. 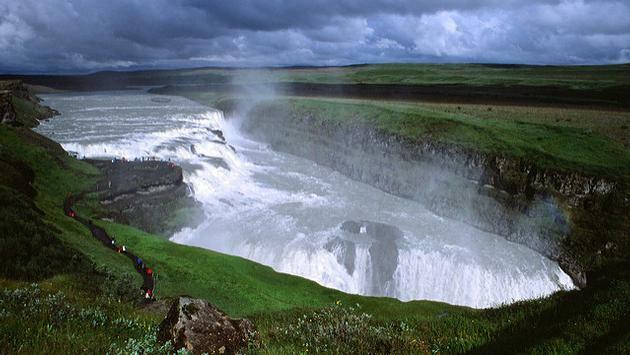 READ MORE: Is Tourism Expanding Iceland’s Economy Too Quickly? At the same time, tourism also appears to be putting pressure on the local housing market, causing a surge in short-term private rentals. There are a variety of measures now being considered that would, if not limit arrivals, at least improve the quality of the experience, Bloomberg reported.